The Democratic race has caused some strong division within the party and among Independents. It seems that everyone has a strong opinion on who should be the next President. Celebrities are no different, and many of them have shown their support for either Hillary or Bernie in various ways. Some will attend rallies, others will perform, and a few will send letters or tweets of support. Do you know who your favorite celebrity has endorsed? Continue on to find out. 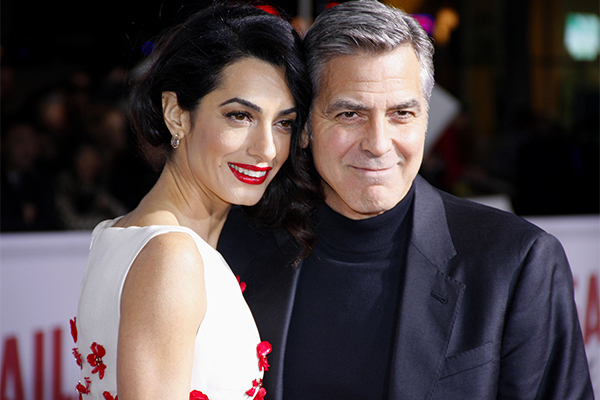 George and Amal Clooney made headlines when they hosted a fundraiser dinner for Hillary Clinton. The dinner was a $33,400-a-seat event and shined focus on just how much money was being raised for the campaign. All proceeds were donated to the Hillary Victory Fund. George later spoke out that he wished it was not necessary to raise so much money, but he believed that Hillary needed the money.